We are pleased to announce that our current Artdose Art Guide will go through a re-design to bring more content happening in the visual arts in Wisconsin. Since 2013, Artdose has been connecting and supporting artists, galleries, artist studios, institutions. This new re-design will include more artist interviews, a curator spotlight section, a growing artist directory, art venue listings, advocacy tips, social club gathering, professional development for artists, community art projects, and so much more…. 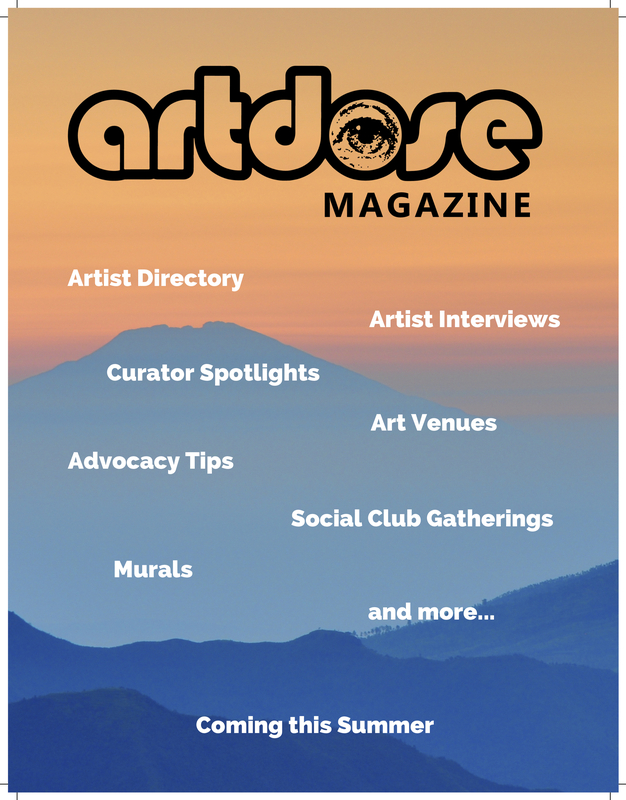 This Summer 2019 the Artdose Art Guide will be piloted as Artdose Magazine. Image: Does not depict actual magazine cover. Serves as an illustration only. For the past five and half years we have been putting together an art publication called the Artdose Art Guide as a way to connect and support [art] communities in North East and South East Wisconsin and to promote those working in the visual arts whether it being an artist, an artist run space, non-profit art center, art incubators, etc. We believe we all share a common goal by introducing, offering, and engaging others with diverse art experiences created through our arts programming and services. What began in 2013 in Sheboygan, Wisconsin as a 12-page black and white art publication has grown into a 24-page full color art publication focused on local art content (2014). Today, it has evolved into an 11 x 17 inch French fold publication with dedicated pages for art venues, artist directory, ads, and a quarterly featured artist. Circulation increased from 600 (2013) to 3,000 (2018) issues being distributed throughout North East and South East Wisconsin. 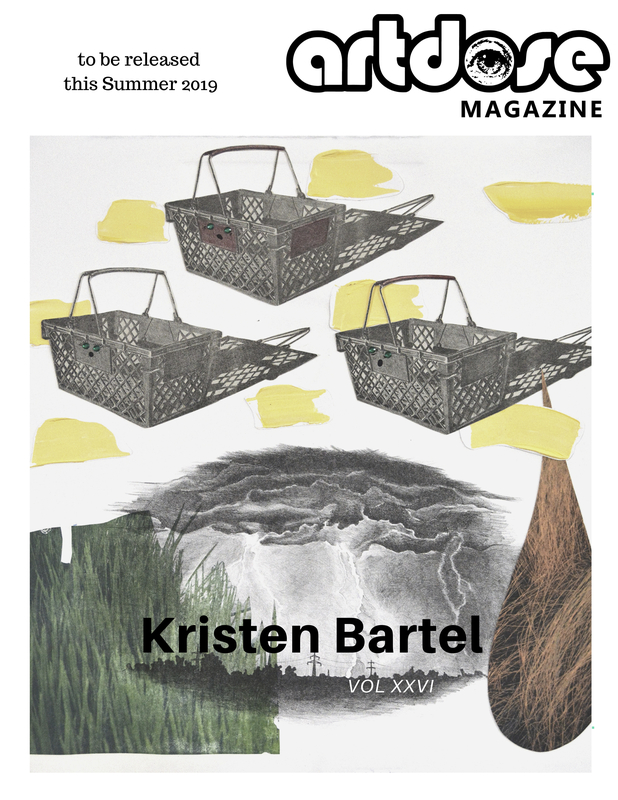 We are more than just an art publication. We believe in maintaining and nurturing professional relationships with those that support us. One way of achieving this is to continue to think outside the box by creating opportunities for the public to engage in beyond print. We are truly about collaboration and continue to connect our art communities across the state of Wisconsin. To learn how you can become a part of this publication simply fill out the form below and we will email you a PDF with detailed information. We are currently accepting submissions from now through June 1, 2019. This entry was posted in artdose, artdose art guide, artdose artist directory, building art community and tagged artdose art guide, Artdose Magazine on April 10, 2019 by Frank Juarez.